New York Painting Services provides extraordinary contracting services to residential homes and commercial buildings in New Jersey and New York, and has been doing so since 2004. We are fully licensed and insured to extend our high moral standards, friendly customer service, and superior service execution on any project we perform. New York Painting Services takes advantage of exclusive professional grade equipment, tools, supplies, and products and in conjunction with our specialists expertise, experience, and skills, we deliver premium results on all services rendered. 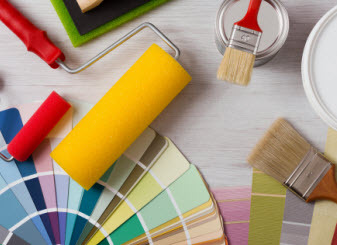 Our consistent customer satisfaction and professional manner will keep you with New York Painting Services to handle your entire home or business’s contracting projects. Be sure to store New York Painting Services’s contact information in your cell phone to reach us quickly and conveniently. We also supply your choice of finishing, whether you prefer stained or painted, your trimming will be an immaculate touch to your New York and New Jersey home or business with New York Painting Services specialists on the case. With the many options of trim coursing through your Greater New York and New Jersey home or business, not only can you enhance your style, but these wonderful additions are also an upgrade to increase value that magnifies the esthetics. 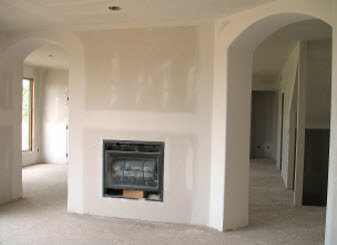 – Crown molding is a recent trend in the last few decades. It is generally wood or plaster ornamental trim installed where the ceiling and the wall meets. Crown molding is also installed on the tops of cabinets, capping walls, pilasters, and the tops of window and door trim. Crown molding is designed to gracefully flare out the top of a finished edge. – Baseboards are installed where the floor and the wall join. Similar to crown molding, the baseboard is usually wooden and softly blends the corner of the wall and floor together in an elegant display. – Wainscoting is generally constructed of wooden panels that are installed on the lower part of the walls. – Chair rails also known as dado rails, molding installed horizontally to the wall around the perimeter of a room that coordinates with a basic chair back. Chair rails are a decorative piece to avoid the wear and tear of chairs, couches, and love seats rubbing up on walls. New York Painting Services professionals have the experience, talents, and expertise to provide your home or business in either the Greater New York areas or Greater New Jersey area with maximum quality interior molding or trim to better accentuate your building’s style. 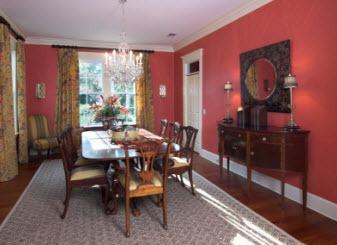 With many designs and finishes to choose from, your molding and trim project will be a unique addition to the room. Call New York Painting Services today to schedule your consultation appointment!